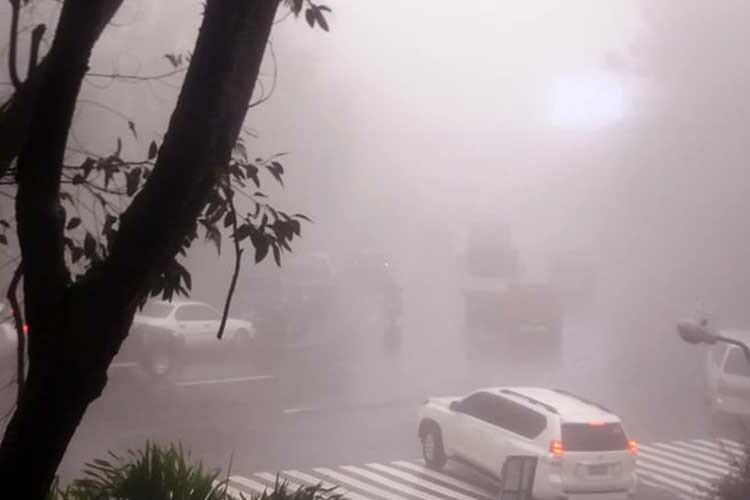 BAGUIO CITY— The Philippine Atmospheric, Geophysical and Astronomical Services Administration (PAGASA) on Tuesday recorded the lowest temperature in this city at 10.4 degrees Celsius at 5 a.m.
“Baguio woke up to a cool 10.4 degrees Celsius; 10.5 degrees Celsius in La Trinidad; 9.5 degrees Celsius at Sto. Tomas relay station; and 8 degrees Celsius in Atok, Benguet,” PAGASA Baguio senior weather specialist Ceferino Hulipas said. He added that the cold front from China has intensified and made the “amihan” (northwest monsoon wind) stronger, causing the dip in temperature from Luzon to Visayas. Hulipas said the cold temperature will continue for a few weeks more as the northeast monsoon strengthens until February. “This is the lowest temperature recorded since the peak of ‘amihan’ (northwest monsoon wind) October last year,” he said. On January 15, PAGASA recorded a 12.5 degrees Celsius temperature, the lowest since the start of the year. The weather at the country’s Summer Capital usually drops in the months of January and February which, in recent years, extends to March.